PBTV supplied digiLED MK7 7mm for the Sports Illustrated Sports Person of the Year ceremony which was held on December 5th at Barclay’s Center in NYC. 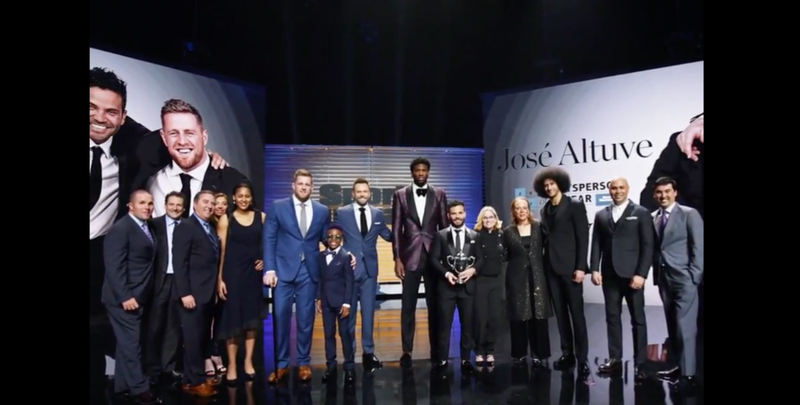 Hosted by Joel McHale and broadcast on NBC Sports Network, the winners of this year’s award were JJ Watt of the Houston Texans and Jose Altuve of the Houston Astros, for their efforts to help the city of Houston to recover from Hurricane Harvey. Two 15’ high x 26’ wide LED walls were installed, one on each side of the stage. The screens provided a scenic back drop for presenters as well as playback of pre-produced packages about the nominees and live audience shots.